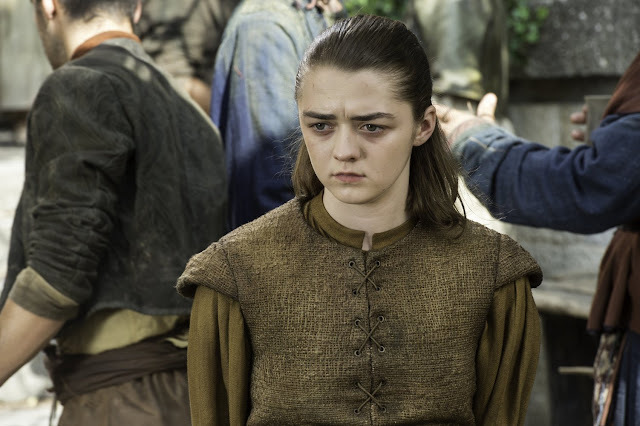 Season Six of Game of Thrones has been a giant snowball that's just been gaining speed hurtling down the mountain these past seven weeks. So much has happened, yet it still feels like there's so much left! Here are my nerdy views on The Broken Man. Arya just pissed off a league of assassins and she's just nonchalantly walking about like nothing's going to happen to her? She should have totally been on guard and mistrustful of anybody considering these assassins can also disguise themselves to look like anybody. While it was shocking to see her stabbed by the Waif, it wasn't entirely surprising considering how casually she was acting. She kinda deserved that stabbing. 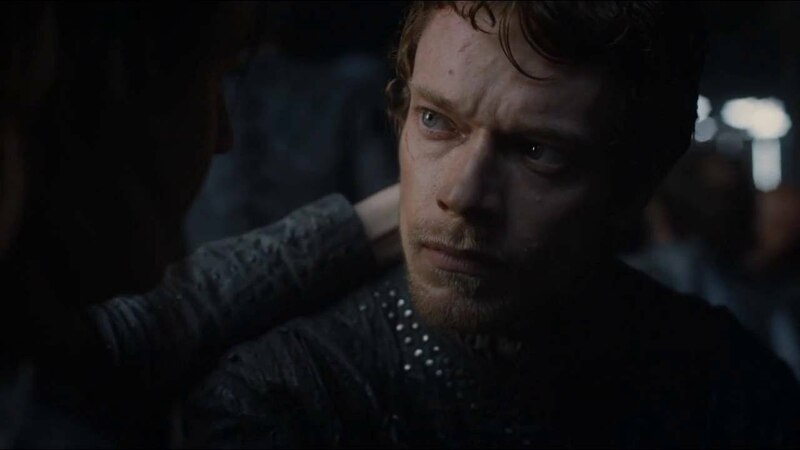 Yara and Theon made it all the way to Volantis (south Essos) to chill out at a brothel. After a little pep talk from Yara, they discuss their plan which is their uncle Euron's plan. Go to Mereen and ally with Dany, her army and her dragons. Considering they have super fast ships, (they got to Volantis at Littlefinger speed!) and Dany needs ships, this sounds like an alliance that could work. 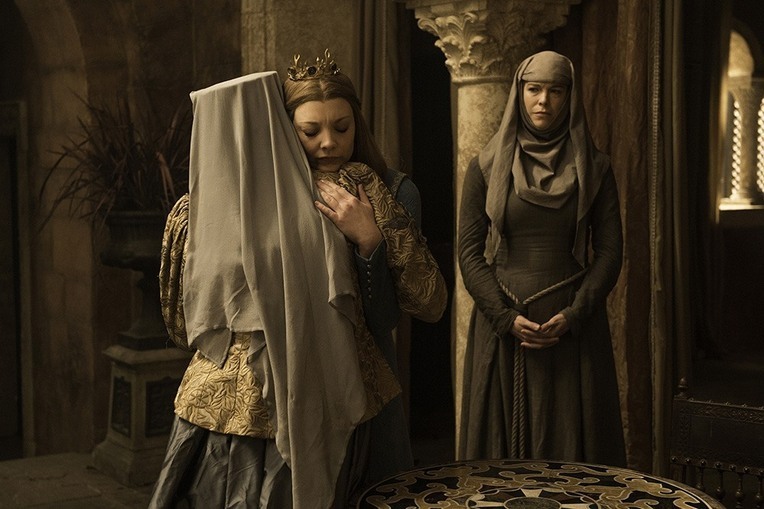 So it turns out Margaery has been playing the High Sparrow this whole time. Maybe it was good acting on Natalie Dormer's part, maybe it was just naivety on mine, but I totally bought that she had been seduced to religious side of the Force. Her true intentions came to light when she slipped a secret note to her grandmother bearing their sigil, a rose on it, signifying her true allegiance. With that, Lady Olenna let Cersei have it and got the hell outta King's Landing. When you take a look at how inept the Frey forces are, you wonder how they attained anything at all. Oh yeah, that's right. They had help from the Boltons and Lannisters. After the Blackfish called the Frey's bluff to hang his nephew, Jaime and Bronn stepped in. Seriously, it was like two kids arguing over a toy, and Jaime was sent to mitigate it. This castle belongs to the Frey's. Give it back! No! With two years of supplies and really squinty eyes, the Blackfish was prepared to wait them out. Jon Snow and Sansa Stark are in serious trouble. Their brother is held captive in their home, and they lack the manpower to retake it. 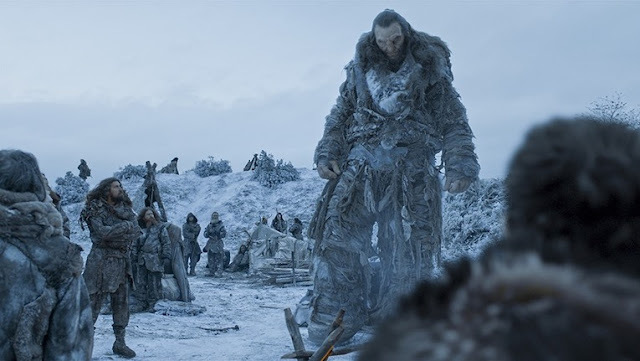 Their recruitment tour included asking for help from bickering Wildlings and a ten-year old lady who was more badass than any of them. The solution? Well it's not just Wun Wun. Yes, his name is Wun Wun. Sansa sent a raven asking for help. But to whom? The only logical person here is Littlefinger. Probably a good thing Sansa didn't have him killed. 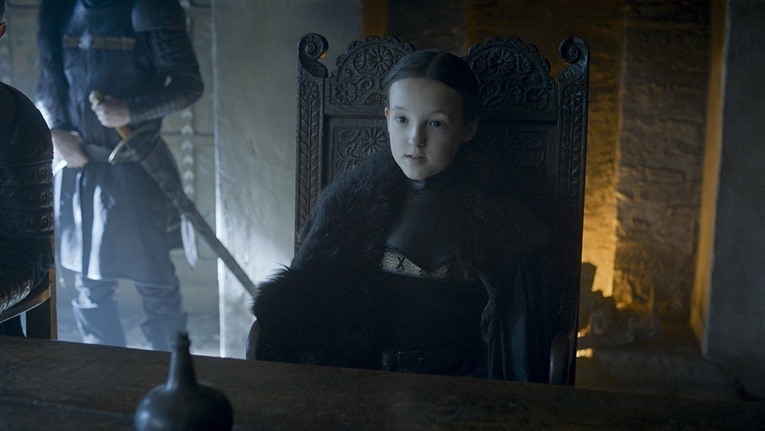 And she's also probably playing right into Littlefinger's elaborate plan. Sandor Clegane, the Hound is back! Left for dead by Arya in season four after Brienne beat the living crap out of him, the Hound was nursed back to health by Brother Ray, played by all-around tough guy Ian McShane. The Hound seemed to be on a track for redemption until three nitwits from the Brotherhood Without Banners show up and kind of ask for protection money. Later on when the Hound is conveniently away from the whole group, they're all slaughtered and Brother Ray is hanged. Now the Hound takes his axe and is prepared to go all Equalizer/John Wick/Deathwish on the Brotherhood. And here's the preview for next week's episode, "No One."